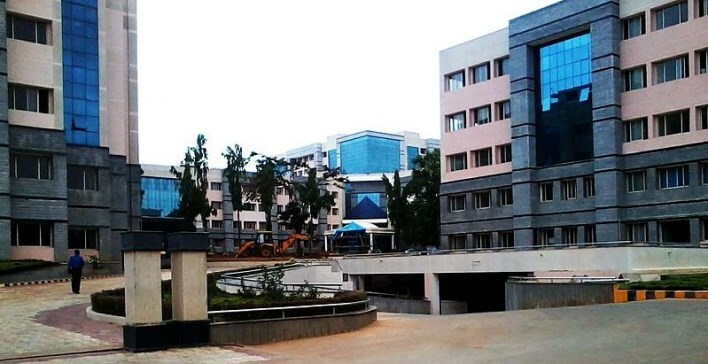 The Oxford College, in Garden City Bangalore is one of the top 10 colleges offering professional education in all branches of Engineering and post graduate programs like M.Tech, MCA and MBA. Present competitive world demands highly skilled technical and administrative talented candidates to face the day today challenges. 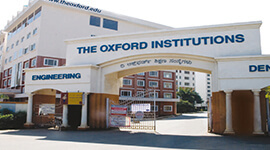 Oxford institute is one of such institute which takes care of an all round development of students and enable them to face society with confidence. 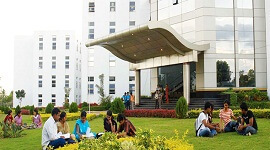 Campus has a huge land of around 6.25 acres with 8 floor building to cater for all academic education. 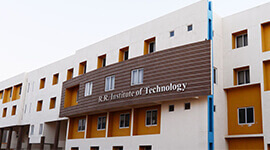 Institute has spacious class room with Wi-Fi facility, e-learning facility, big library, transportation, hostel, multi gym, health centre and facility for sports activities. Conducts extensive technical training by guest lecturers from Industry to prepare them for industrial exposure. Also assists for placements in top MNCS like Microsoft, IBM, Accenture, HP, Unisys, and Infosys etc. 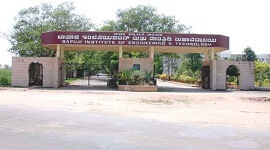 Courses offered by the Institute are as per the VTU guidelines recognized by Govt. 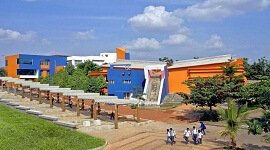 of Karnataka and approved by the All India Council of Technical Education, New Delhi. 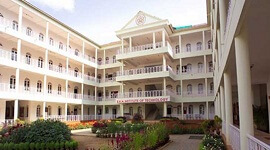 Well equipped Laboratory, air conditioned computer lab with internet facility, Class room with LCDs, Departmental library with large number of books, lab manuals, seminar reports, project reports etc. The Oxford institute arranges campus interview inviting top industries and Organization who needs highly talented candidates for the growth of the company. 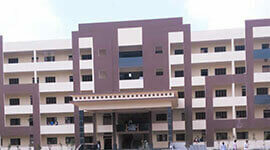 The college campus is around 6.25 acres with 65,000 sq.mtr built up area comprising of 2 buildings with 8 floors. 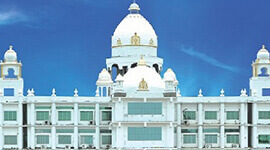 Arranges Conferences, Seminars, Workshops, Techno cultural activities, Club activities, NSS camps and sports activities.